Ice nodded. "What's your name?" She asked curiously. "Uhm... Swiftrunner" Citadel lied "And you?" Ice fell back a step. "Are you a clan cat?" She asked, an edge to her voice. The fur on her shoulders started to rise. "N-No..." Citadel said "I lost my clan when I was younger" she lied again. Ice bowed her head. She sensed this cat was lieing. It's what her whole family did, so has she began to sense this. She let her fur lay flat. "I'm so sorry.." She said. Her voice went harsh at the end. "Now what's your real name?" Citadel noticed that the cat knew she was lying. Citadel growled "How do I know that you can be trusted? I don't tell my name to anyone." Ice snorted. "Smart. I'm Ice." She stretched and gathered the moss she had dropped, motioning with her tail that Citadel should follow her to camp. "Fair enough... I'm Citadel" she finally said, but she still didn't trust that strange black cat. Personalty: Kind and humorous, though can be over-protective and goofy. Personality: Doesn't like to show emotion, and is very serious at most times. But to those he loves, he is caring and defensive. History: Doesn't share it with anyone. Personalty: To the Clans: Rude, Mean, Full of hatred. Sometimes acts nice. To Rogues/Loners: Friendly, rest to RP out. History: He was part of the clans, but his littermate/sister, Featherheart, blamed him for something horrible that was going on. His sister knew the culprit, though. It was her. Personalty: This pretty she killed for power. Like the spirit in the sky that's guiding her, she got it. She pretends to be nice and kind, but she's evil. History: She caused her brother to get exiled for saying he killed Tumbleweed, their father. She had really killed him. She later killed Greystar, their mother. Crush/Mate: Um... Why would she fall in love? As Tallstar has taught her, all it can do is hurt! Personalty: Mean, Secretive, tought Featherstar how to get where she is now, and is continuing teaching her to get farther. History: Killed in his craving for power... By Goldenstar who I will not put in this RP! Kin: Nightstar; not in RP. History: Was killed by her own daughter. Age: Died at 60 moons/ 5 years. History: Was killed by his daughter. His last good-bye was to Bramblethicket, his son. Bramblethicket was later exiled and changed his name to Bramble. Ice looked back at Citadel. "Come on." She called, bounding through the bushes into her camp. Sunny looked around and raced back to his housefolk. He lept onto the fence and watched the forest. Bramble padded around, not paying attention to his surroundings. Soon enough, he had bumped into a black she-cat. "Wha? Oh... Hi..." he meowed, eyeing her suspiciously. Ice glared at the tom. "Hi." She said, not at all friendly. She walked past him and laid the moss in the fox hole. Citadel still didn't trust that strange cat, but she followed her... Maybe she had food? Citadel was very hungry and her belly was already telling her to do strange things. Hikage looked around, sniffing the air for any scents of prey. His gaze rested on a small robin, looking only to be 3 moons or so. He ducked down low, inching forward. His paws were silent, nimbly shifting through the bushes. He was only a tail-length away now. He launched himself out of his hiding spot, crashing down with all his weight onto the bird. Swiftly, he bit down on the robin's neck, killing it instantly. "Nice catch, bro. ", Strike grinned, appearing from behind a tree. He carried a small mouse. Personalty: Bright, spunky, and energetic. Brook doesn't have that many times where she is bored and needs to complain. She can be sarcastic, witty, and annoying, and is always on the move. From adapting from her past, Brook has been able to master the skill of climbing trees, and jumping from limb to limb, and can move almost without a sound. She can be understanding at some times, but her youth has made her extremely agile for a rouge, and no one would think that a 10 moon cat would be able to survive on her own. If she was in a clan, she would have just about been apprenticed a few moons ago, and is still learning, but is very smart, and is able to get herself out of things in a pinch. If at all, you want to be with Brook when she's on her good side. If you hurt someone that she has loved or thinks of as a friend, then you'd better run. She goes berzerk when something happens that she can't change, and she hates death, and will hunt you down if you place a scratch on her friends, which she doesn't have, because she spends most of her time hiding in the trees, trying to be unnoticed. Personalty: Nightfall is a loyal warrior, and doesn't make action unless it's well thought out. He is very strategic in battle, and will do anything for his clan. He is a very good fighter and hunter, seeing that he isn't totally bulky from training all the time and not hunting, and can sneak along very well in silence. He loves to hunt at night, seeing that his black pelt blends in, but knows that there is more danger at night than in the day. He is funny, sarcastic, and really grumpy if you wake him up to early. 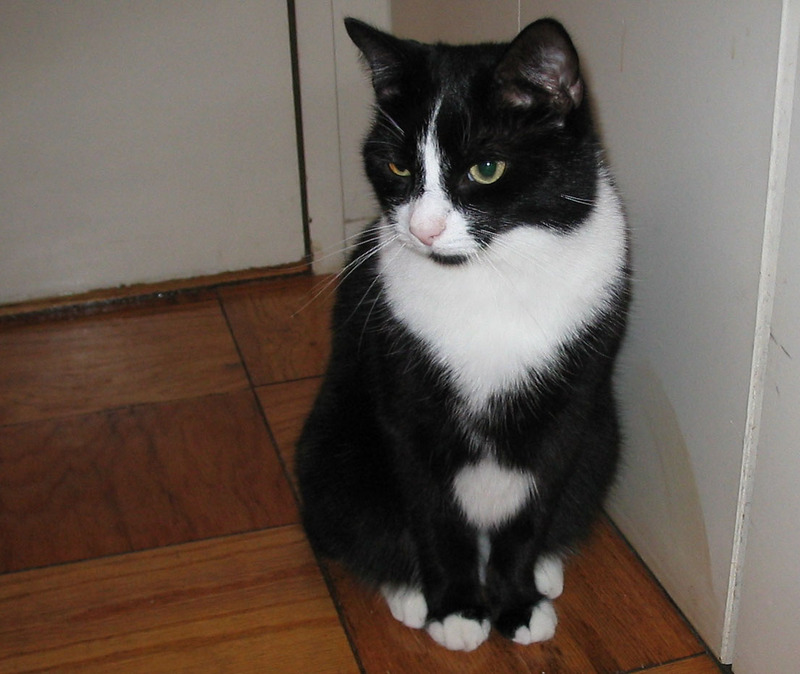 Personalty: Falconpaw is a gentle but slightly energetic she-cat. She spends most of her day when not training, in the river, hunting fish. She loves to swim and would reject the life of living in any other territory in an instant. She can be kind and quiet, but sometimes when things are too exciting, she gets a little bit louder. Falconpaw is obedient and tries her best to be of good help with her clan. Her past has shaped her into the quiet she-cat that she is, and even though she has the support of clanmates, she can sometimes get a little bit lonely seeing that there aren't that many apprentices yet. Ice finished and stretched. Her belly rumbled. "Stay Here." She told Citadel and left. She came back with a two small mice which she had caught and stored earlier. She put one in front of Citadel and ate the other one herself. "Uhh... Thanks. I have never thought a stranger would give me food..." said Citadel as she ate the small mice. Bramble looked. "So, you two are all buddy-buddy then?" he asked, trying to get involved. Ice flicked her tail and peeked in the bush. It still needed moss. "Can you get me some moss?" She asked Citadel. Ice spun around and looked at Bramble. She shrugged and padded a hole in the BigStone. She sat down on the moss and nodded, going out into the forest in search of more prey. Citadel stretched her head "I never ate moss... Is it good?" she asked. As Ice walked through the forest, a pair of intelligent blue eyes followed her as something frisked lightly from tree to tree, without barely a sound. It was hard to see, but if you looked close enough, you could see it was a cat. If she was in a clan, she would have been about a few moons old after being apprenticed. 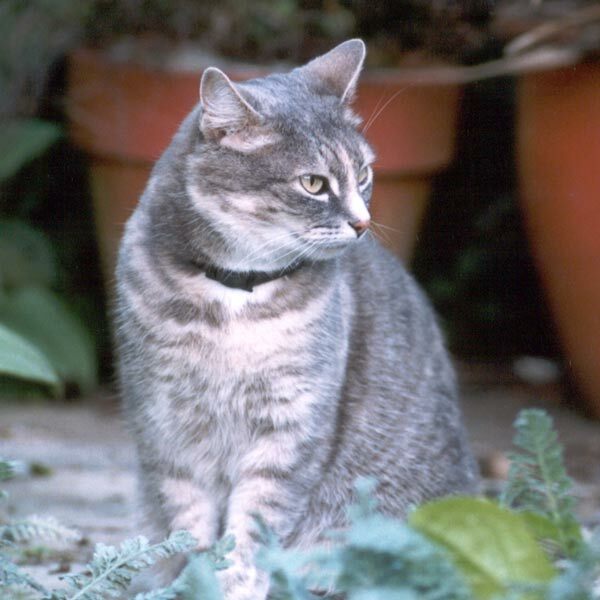 She was mainly silver with darker gray and black stripes on her back, almost like a tabby. She was curious. She had seen Ice for a while, stalking around the area, and not once had she been spotted, for not that many cats would take residence in the trees, and not that many cats looked up, for what would attack them? A sparrow? And there weren't any hawks in this area at the moment, so to the rouge cat, this was the best place to be and spy on others. She yawned for a moment and then silently closed her mouth. She didn't know why she was following the black she-cat. She was just bored, and it was fun to watch other cats hunt from above in the trees, judge their flaws, and correct them silently in her head. Nightfall woke up slowly to the fell of wet water dripping on his nose. He batted it away, but it persisted, dripping constantly onto his nose. He groaned and opened his eyes with a grumpy face, staring up at the hole in the warrior's den, and when he did so, a few more drops splatted into his eyes and he shook himself off, finding that he was covered with water. It must have rained. The black tom walked out of the warrior's den, stretching his legs as he did so. He'd have to either remind one of the apprentices to fix it, or he could himself. It wasn't that he didn't like water, but if it was cold and water was getting in, then one of the cats could start to get sick. The den had to be warm, and the warmth couldn't escape. He quickly took a small jog around the camp to see if anyone was up, but seeing no one was, he yawned one more time and walked down to the camp entrance, ready to go hunting. Nightfall usually went fishing in the morning to catch some fish which were early, and not smart enough to think that the cats came out at a later time of the day. Speeding up a little bit, the deputy of WaterClan made his way to the river. As soon as the deputy left the camp, a small head poked out of the apprentice's den. 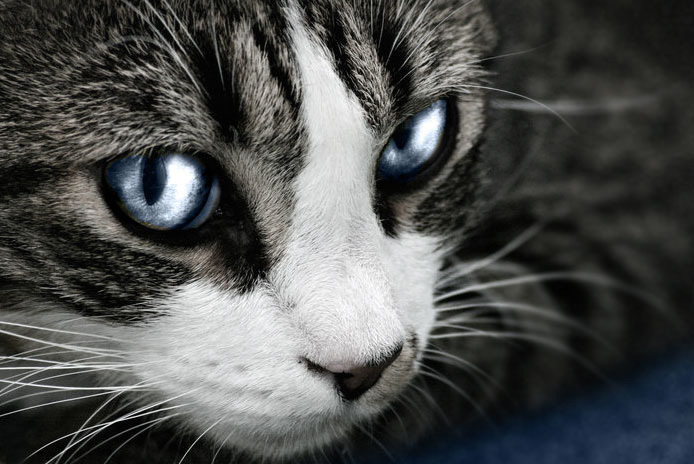 Shining gray-blue eyes stared about as Falconpaw walked silently out of the den, shaking herself off. She had seen Nightfall leave the camp, and had also seen him grumble about the hole in the warrior's den. She knew that he would probably as her to do it, so she should just do it now and get over with. Shaking herself of sleep, Falconpaw trotted over to the camp entrance, exiting and then coming back in a few minutes later with a bunch of twigs and leaves in her jaws, wet from the previous night's rain. She leaped over to the warrior's den and placed the bundle over the hole, spreading them out with her nose, making sure that they wouldn't fall off if it rained again. It seemed good for now. Turning, she looked around the camp and noticed how lonely it was. Only, wait until Dappledfrost had kits. Then she wouldn't be lonely anymore. She had been checking in on Dappledfrost lately, not being able to contain her excitement. Soon she would have a lot of playmates, and then she would be able to teach them things that she knew. "What? Am I chopped liver or something?" he asked. 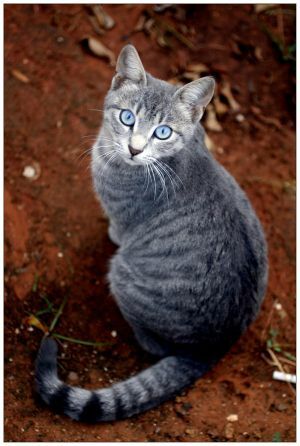 Hikoge stiffened, seeing a silver and gray she-cat a few tail-lengths away. She smelled of Clan. He charged forward, knocking her over. "What are you doing here? 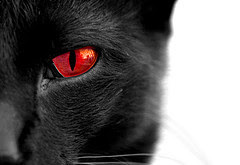 ", he snarled, his blazing red eyes meeting her blue ones. Citadel felt like if something or someone was watching her "Uhh..." she tell Ice "I think... I should leave... Thanks for the mice"